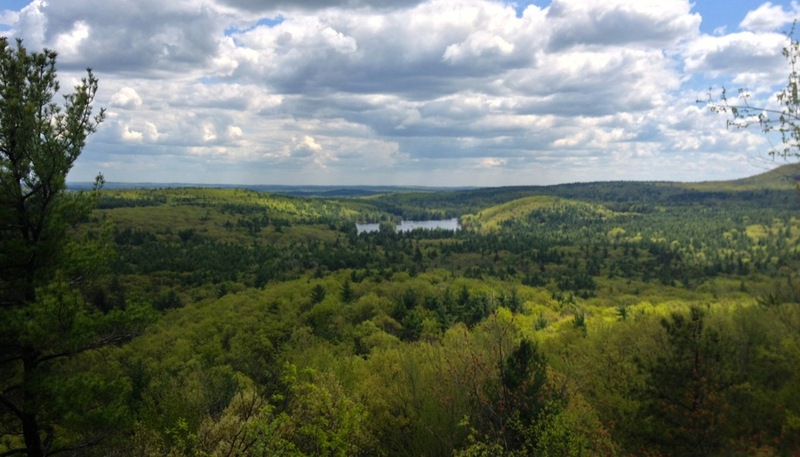 44 Miles down the 2 highway lies Leominster State Forest. It is a very pretty spot. 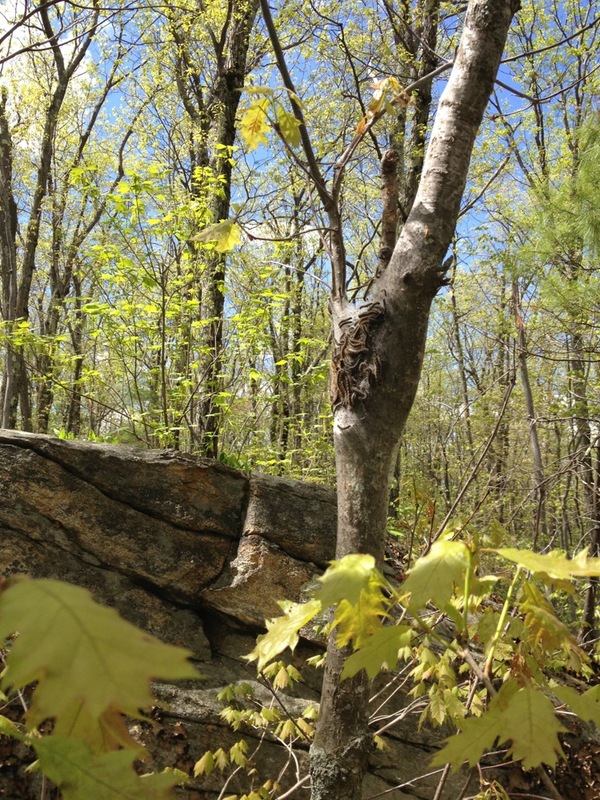 The forest itself is typical New England landscape - thin soil covering lumps of granite - except here the granite forms cliffs that attract scores of rock climbers. I don't mind rock climbing as a sport, but it does seem a little silly to climb a bluff that has a walking trail going up it only a few meters away. The trees have shaken off the blossoms and have gotten down to the serious task of growing leaves. Just look at the colours of the leaves. Wait a minute; what is that on that tree? Zoom and enhance! Well this is certainly a little creepy. 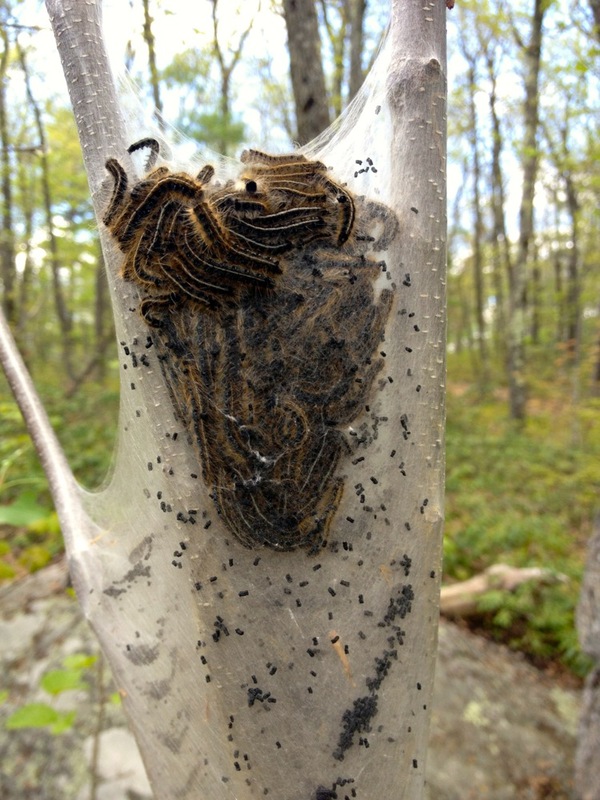 This is the Eastern Tent Ceterpillar or more correctly, a whole bunch of them. Certain spots in the forest were filled with these nests, each a writhing mass of furry wrigglers. They are harmless (except to pregnant horses apparently) but I have to say my flamethrowner-trigger finger got itchy each time I passed close by one. On the way back, I visited the Outback Steakhouse for some authentic and in no way souless down-under tucker. 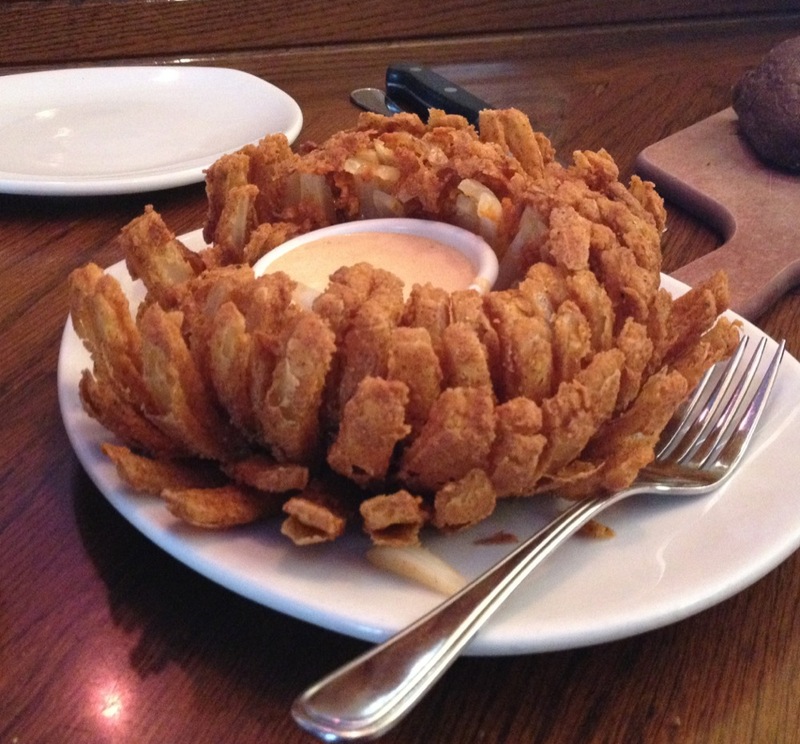 An Outback Steakhouse Blommin' Onion. This photo does not convey the size of the thing. This is a blooming onion, battered and deep fried just like the native Australians did while on walkabout. Actually the food is fine, in that corporate-chain sort of way. I was offered 17 kinds of salt and pepper, which seems 15 more than is really required.